The answer to why people feel and act the way they do lies in the profound effect of a child's bonding process with his or her parents. 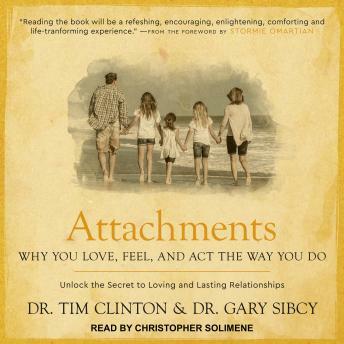 How successfully we form and maintain relationships throughout life is related to those early issues of 'attachment.' The author has cited four primary bonding styles that explain why people love, feel, and act the way they do. This book is for anyone who desires closeness, especially in the most intimate relationships: marriage, parenting, close friends, and ultimately with God.